What is file version history? 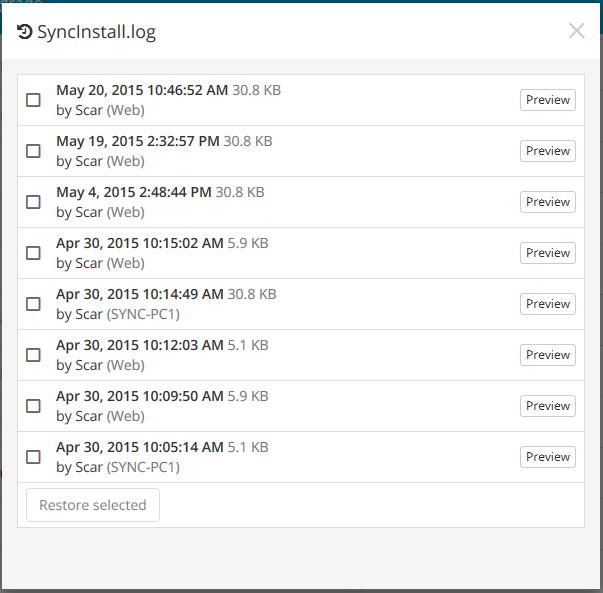 Sync keeps your data even safer by making a copy of every change you’ve ever made to the files within your Sync folder. At any time you can revert to a previous version of a file. 1. Log in to the web panel. 2. 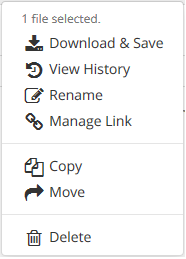 Click the menu beside any file to bring up the Options menu. 4. Select the revision and preview it. 5. If this is the correct version you wish to restore, click Restore Selected.